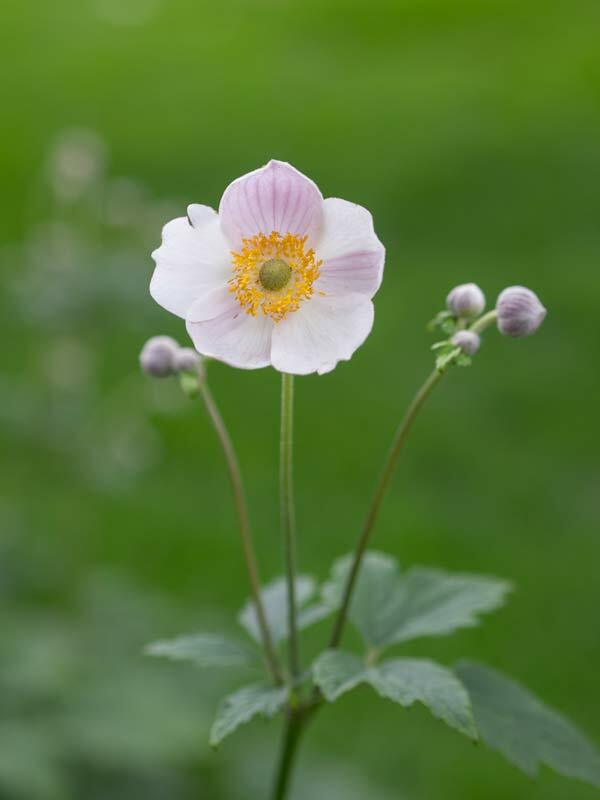 This is what is usually called a Japanese anemone. It is native to central China, and has been naturalised in Japan for centuries. Wikipedia says that in 1844, Robert Fortune brought the plant to England from China, where he found it often planted about graves. The name of the species is Anemone hupehensis. There are quite a number of plants, shrubs, and trees that are ‘hupehensis’ but no explanation of where the name comes from. I started searching for variants on the name and eventually came across ‘Hupeh’, which is a variant transliteration of the Chinese name for Hubei, a region in central China. That sounds like it is probably where the name comes from. This is a lovely photo. I like its simplicity.